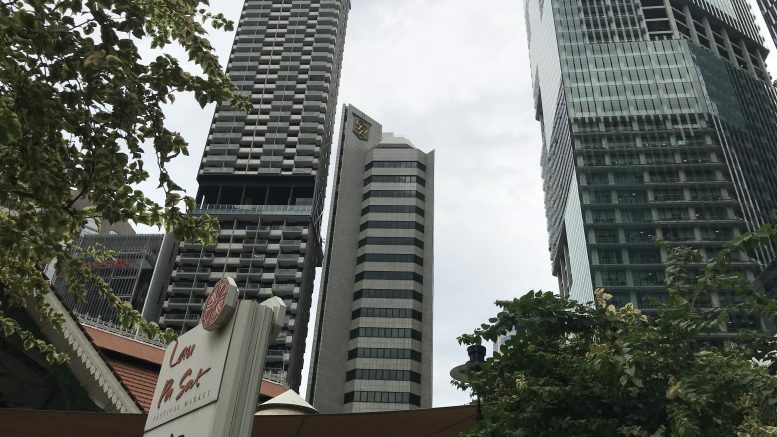 This article was originally published on Wednesday, 20 March 2019 at 23:17 SGT; it has since been updated to add Frasers Property and Frasers Centrepoint. Thai Beverage said on Wednesday it incorporated a new subsidiary, ThaiBev Marketing, which will be involved in the distribution of spirits, advertising and promotion support, technology research and development services. ThaiBev holds 99.99998 percent of ThaiBev Marketing, while two shareholders hold one share each, the beer maker said in a filing to SGX after the market close on Wednesday. ThaiBev Marketing has a registered capital of 100 million Thai baht (S$4.26 million or US$315.16 million), consisting of 10 million ordinary shares at 10 baht each, the filing said. Read more about Thai Beverage. Yongnam Holdings said in a filing to SGX on Wednesday that CEO and Managing Director Seow Soon Yong, or SY, was no longer deemed interested in 31 million shares which had been charged in favor of Lioncap Global Management as security for a loan. Lioncap Global Management has disposed of the shares and is no longer in a position to redeliver the shares to SY, who has purchased an equivalent 31 million shares to maintain his holding, the filing said. SY has begun legal proceedings to claim the proceeds of the charged shares, it said. Cache Logistics Trust said on Wednesday it planned to acquire a single-story logistics warehouse and office facility in Altona, Victoria, Australia, near Melbourne, from AGIT Investment for A$41.2 million (S$39.47 million or US$29.22 million), with an initial property yield of 6.8 percent. The proposed acquisition will be funded with a combination of the net sale proceeds of around S$16 million from divesting the Jinshan Chemical Warehouse and debt, it said in a filing to SGX after the market close on Wednesday. The Altona property is currently 76 percent occupied with a singe anchor tenant under a three-year lease with an option to renew, while AGIT Investment will provide a two-year rental guarantee for the 24 percent vacant area, the filing said. Read more about Cache Logistics Trust. Golden Agri-Resources said on Wednesday it acquired 4,900 shares, or a 49 percent stake, of Indonesia-based PT Wahana Agung Persada (WAP) for 1 million rupiah each for a total consideration of 4.9 billion rupiah, or around US$343,000 (S$466,476). WAP is considered an associated company of Golden Agri, and it is mainly involved in consultancy services and trading, it said in a filing to SGX after the market close on Wednesday. Read more about Golden Agri-Resources. Spackman Entertainment Group said on Wednesday its upcoming film “Crazy Romance” has completed filming and is in the post-production stage, with screening in South Korean theaters scheduled for this year. The movie was produced by Spackman’s wholly owned subsidiary Zip Cinema and will be presented and distributed by Next World Entertainment, it said in a filing to SGX after the market close on Wednesday. Read more about Spackman Entertainment Group. Dukang Distillers Holdings said on Wednesday Keping Guo because a substantial shareholder by acquiring 7.88 million shares for a total consideration of S$1.34 million. That brought Keping Guo’s direct interest in Dukang Distillers to 10.82 percent, up from 0.95 percent previously, it said in a filing to SGX after the market close on Wednesday. After the share deal in an off-market transaction, FIL Ltd., which was deemed interested in the shares because they were held by funds or accounts managed by its fund-management subsidiaries, saw its interest fall to zero, it said in a separate filing to SGX on Wednesday. Read more about Dukang Distillers.